Well, Christmas is literally days away and I thought I’d take this opportunity to say I hope you’ve had a good year, and you’re not still desperately wrapping presents – as I am! Since I last did a blog it’s been an Autumn of two halves (hey, a football analogy from me, that’s a first!). On the work front I’ve finished filming Escape To The Country for this year, starting again back on the road in March 2016. 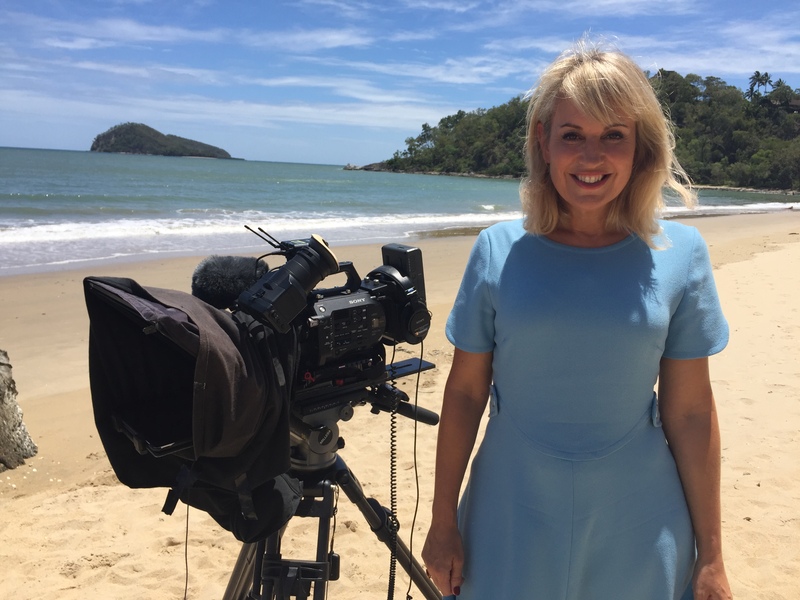 Wanted Down Under has been extended and starts again on January 4th, so I headed back out to Oz at the beginning of this month to finish filming this popular series. More sun, sea, tears, laughter and enormous changes to people’s lives… There’s no other series quite like it on TV, and no other series gives couples and families the opportunity to start again in a different country. Expect some emotional scenes when it airs… BBC Radio 2 have welcomed me back once again, so if you’re up early during Christmas and New Year, join me for an early breakfast. You supply the tea and toast… Worth texting in, hopefully you’re get a mention! 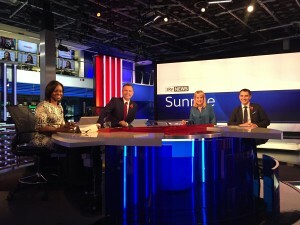 If you are an early bird, you may have seen me back on Sunrise for Sky News reviewing the daily papers. Back in September I was honoured to present (or ‘host’ as our American friends like to say) The European Diversity Awards at the Natural History Museum. What a remarkable event and venue! In early November I was a guest of Weston College’s Business and Achievement Awards and I also joined the NAFAS teams in Blackpool for their Festive Flower & Food Show. December saw me as a guest for the week on Dictionary Corner for Countdown. Legendary show. 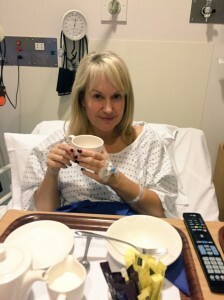 So, as you can see, it’s been pretty busy but there has been a slight downside – I mentioned earlier ’two halves’ and the second one came in the form of a much needed operation on my ankle. All rather dull but extremely painful. Luckily I’ve been looked after by a great team and am making progress. I still can’t walk any distance but I’m behaving, doing my exercises, trying to wear ‘sensible’ shoes and trainers and giving my ankle the chance to mend… I had to cancel a fair degree of filming but hey, these things happen and hopefully 2016 will see me return to the gym but in all honesty, I’ll never be a marathon runner…! So I’m going to sign off now as it’s late and I’m up tomorrow at 3.30 am ready for work at BBC R2 HQ! Wishing you all a very Merry Christmas and all the best for 2016. Thank you for all your wonderful tweets and messages throughout the year. I do appreciate your lovely comments and support. May has to be the total highlight of my presenting year as it’s RHS Chelsea Flower Show for a whole week. The one place I work where we’re all totally upstaged by the blooms, displays and gardens over the 11 acre, or so, site. And this year was no exception. Here’s a snap of the presenting team (well, most of us) standing outside our ‘green room’ behind the scenes at Chelsea. I talk about this show being my highlight, well I didn’t expect to be interviewing HRH The Prince of Wales on the preview day! We chatted about sustainable urban drainage at the Greening Grey Britain garden which beautifully illustrated this theme. His Royal Highness has been doing a lot of work on sustainable urban drainage through his Prince’s Foundation for Building Community. He was funny, charismatic and very well informed! We’d met the week before at a Garden Party at Buckingham Palace. I went with my girlfriend and it was a truly wonderful day. Here we are in all our finery and OTT hats. 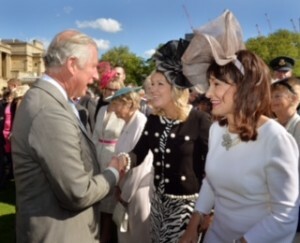 Meeting HRH The Prince of Wales. I’ve got this photo in a frame at home – v proud! 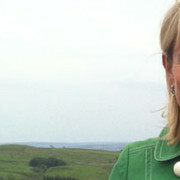 June saw the weather change for the better just as I jetted off to Australia for filming Wanted Down Under. I took the rain with me. Typical!! This must be a theme…..Hard to believe but it’s the 10th series and I’ve filmed 8 of them. It was a quick trip, visiting Melbourne, Cairns, Port Douglas, Sydney then home.. not even time for jet lag. So much work goes into making this remarkable series and I can take very little credit for the bulk of the effort! 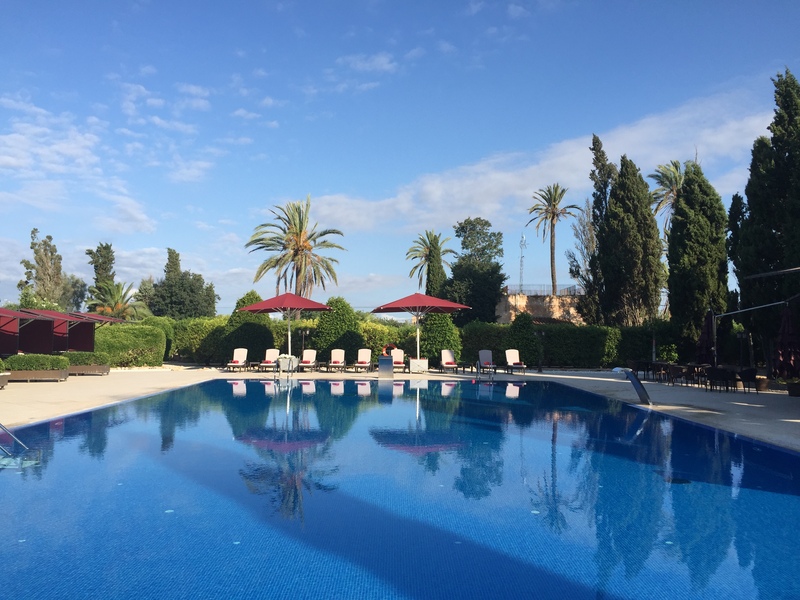 Months and month of preparation, finding the right couples and families, organising visas and travel details….. In all honesty, it must be a logistical nightmare. For me, the most rewarding part of the show is the final section, where we find out once and for all whether the featured family are going to make the biggest decision of their lives’ (I can even hear the drum roll as I type….) 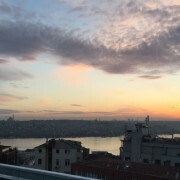 Filming with the majority of the families has now finished, the life-changing decisions have been made and either they’re now busy packing or looking at their lives back in the UK and thinking ‘well life isn’t that bad’. Most of August is spent with the BBC Northern Ireland team who make the show in Belfast. We’re currently busy in the edit (with the exception of a few days off to holiday in Majorca) where I’ve been voicing the first 20 shows. You’ll have to waituntil January 2016 to see the new series..
July saw me return to Escape to the Country, with it’s sister show Escape to the Continent back on our screens which I filmed in the Autumn last year. Dorset and Devon both seem to be a popular choice for our contributors wishing to ‘escape’ and whilst in Dorset I tried my hand at Beach Polo. Yep, it does what it says on the tin and a truly splendid afternoon was spent in Sandbanks learning or ‘trying’ to master this skill. Half the things I try my hand at are not only new to me, but courtesy of Escape I’ve had some fantastic experiences, for which I am very grateful, including this one … me, a beautiful polo pony, a gorgeous afternoon cantering along the sandy beach and once in a blue moon I even managed to hit the ball. I’d call that bliss. to my roots… I’m still mastering the desk (I managed to lose the news for 15 seconds) and play in the right jingle at the right time but I adore being there and will be back again in September. Some of you may have noticed from my Twitter account that I’m a professional and personal coach working with large corporations as well as with individuals, on a one to one basis. 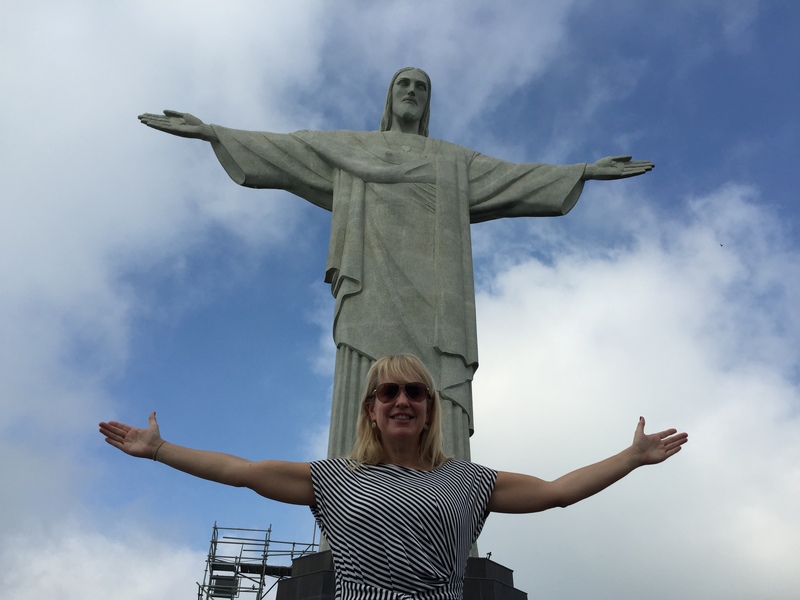 On my next blog I’ll write in more detail about the kind of work I do (which I’m very passionate about) but for now I will share a wonderful book with you, which I’ve been reading on holiday – Feel The Fear And Do It Anyway by Susan Jeffers… Let me know what you think. Lastly, Wanted Down Under Revisited repeats have been going out again on BBC1 in the mornings and, by your reactions and the viewing figures, these are doing very well indeed. 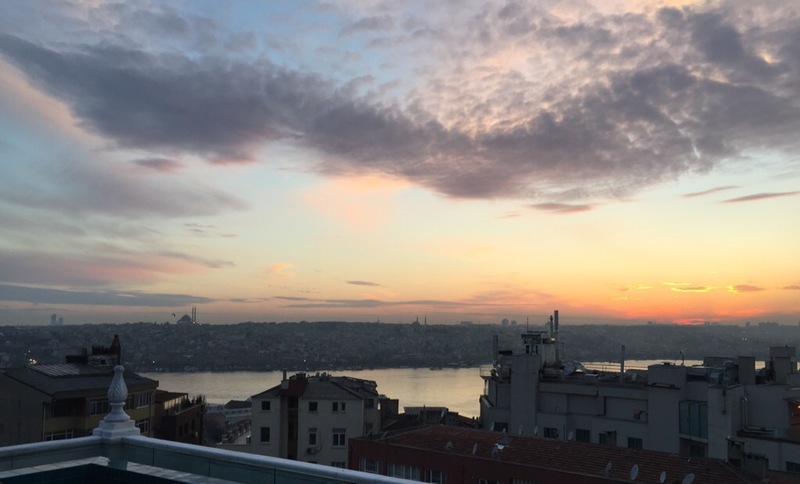 More to following in January…. Happy Holiday! Love this pool!! Well it looks like the sun has decided to reappear so I’m going to try and grab a few more hours in the sunshine… . I’ll spare you the bikini shot but leave you with this instead. Wishing you all a good summer and a few more lazy, long days. Hi, Nicki C with you on 2mail duties for the first time. 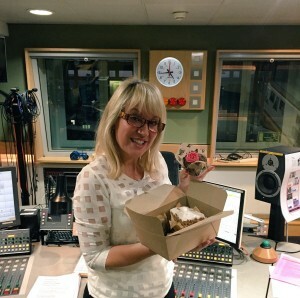 I’ve had a wonderful time sitting in for Lady V in the mornings over the last few weeks. As I began my career in the music biz, I can’t tell you what a treat it is to be part of Radio 2 and to be able to play the songs I love the most. To that end, I accepted the challenge of picking 20 of my favourite songs of all-time. That list changes day-by-day and hour-by-hour, but I think you’ll enjoy the ones I finally settled on. 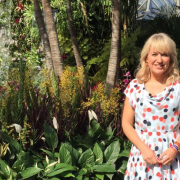 Nicki Chapman has worked with many of the biggest pop stars in the world, but what are her favourite pop songs? Wonder no more as she’s hand-picked 20 of her faves just for 2mail! 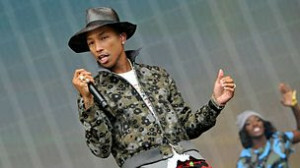 From Pharrell to Blondie, this is her personal tour through her musical life. 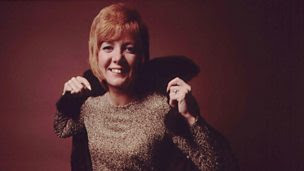 Radio 2 celebrates the life of one of the nation’s greatest stars with another chance to hear Cilla Black’s career-spanning chat with Johnnie Walker. From her early days to the heights of fame, this show proves why she will always be in our hearts. 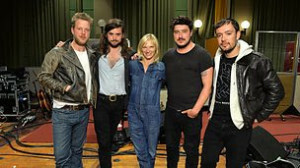 Mumford & Sons were live in session for Jo Whiley from Maida Vale, where they covered one of the 80s biggest hits. You will love their version! 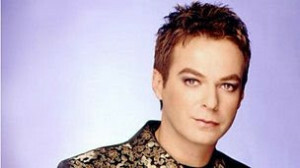 Irreverent comic Julian Clary joined Simon Mayo to chat about writing his first children’s book The Bolds. He says he found his inner child writing this tale about a family of hyenas in Teddington and that the whole tale came to him in a couple hours. Now in it’s 51st year, the Cambridge Folk Festival is one of the musical events of the summer. 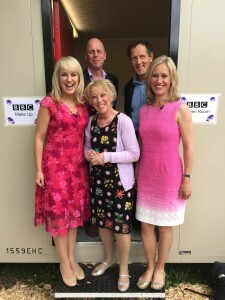 Mark Radcliffe was back this year to lead Radio 2’s coverage of the festival, which saw performances by Joan Baez, Nick Mulvey and Peggy Seeger. We try to capture each and every aspect of the show throughout the week starting with the great build (filmed over the past 4 weeks or so come rain or shine) the official royal opening on the Monday afternoon, medals, tears and tantrums through to the individual designers, growers, plants men and woman and the teams and teams of horticultural experts and enthusiasts who make such a lasting impression on us all. The Greatest Flower Show on Earth! Over the coming week around 157,000 people will walk through the Gates of the show, but if you choose to watch from the comfort of your own home you’re certainly not going to miss out.. 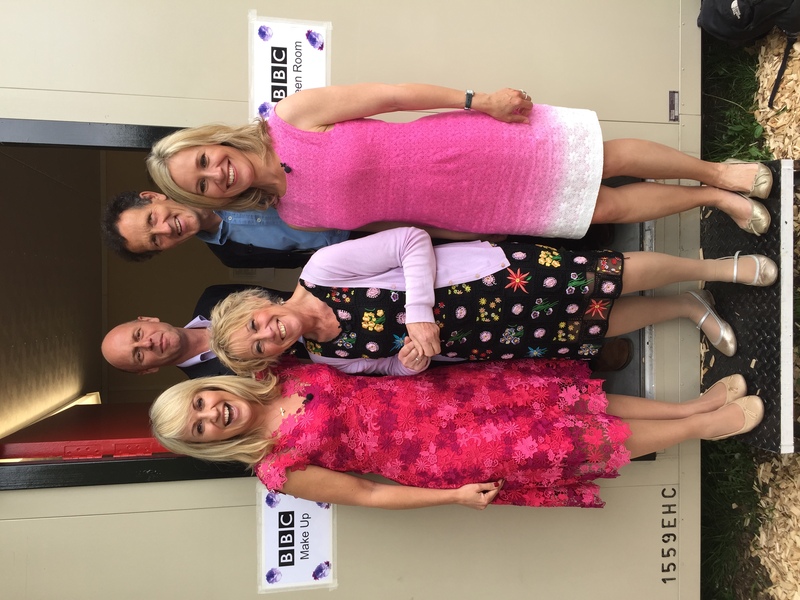 The screen team include Monty Don, Joe Swift, Sophie Raworth, Carol Klein, Rachel de Thame, Chris Beardshaw and Andy Sturgeon. I’m delighted this year to be joined by James Wong, garden designer and botanist for our daily afternoon show at 3 pm on BBC1 who, I’m hoping, will sharing plenty of ‘take home’ advice as well as his expert knowledge. 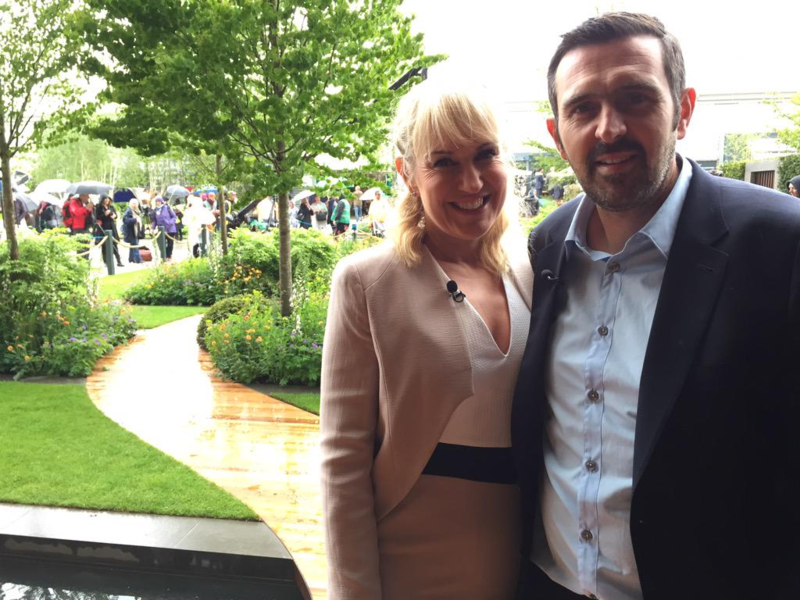 The highlights of the week would start with Monday which is the Official Opening of the RHS Chelsea Flower Show. Before the Royals arrive, in fact first thing, you can spot many a celeb and VIP person perusing the grounds. Dame Helen Mirren, Ringo Starr, Rod Stewart… the list goes on. Monday is a very hot ticket. Tuesday is RHS Members Day but also Medals Day – I would say the true high point and it’s a very early start. The judges have decided and it’s time to see the results. Arriving at the grounds around 6 am in morning, I’ll head towards the Show Gardens in my best outfit and heels with my camera team ready to capture the moment as the RHS ladies tear around the site giving out those all important medals.. will it be a gold, will it be silver or a disappointing bronze?? Over the years we’ve seen every emotion from the recipients, with many a tear too – often from the men! With Adam Frost, gold winner! This year there’s plenty of anticipation as designing doyen Dan Pearson returns to Chelsea after an absence of 10 years, Prince Harry’s charity Sentebale will be exhibiting a design to draw attention to the plight of vulnerable children in Lesotho, Chelsea first timer Kamelia Bin Zaal aims to provide sanctuary to reflect the beauty of Arabic and Islamic cultures and Adam Frost, a particular favourite designer of mine, returns once again aiming for another gold medal. I have to mention the expert floral designs and arrangements. Every year I attempt on my programme to improve my skills with a little help from the experts. I make up with enthusiasm from what I lack in talent. As a patron of NAFAS (floral design with excellence) as least I should get a gold for effort. These ‘attempts’ are much to Joe Swift’s amusement might I add..
By the end of the week I’ll either have been bronzed by the sun or soaked to the skin, I’ll have walked countless miles around show grounds and will have fought off the hay fever coughs and sneezes but who cares, because it will have all been worth it for the Greatest Flower Show on Earth. So as I sit here typing, it’s certainly warming up and my garden is beginning to look more like a garden … at last. When the weather changes for the better, it certainly makes filming up and down the country for ‘Escape…’ a lot more pleasurable. Lastly, I’m back Escaping to the Country (with and without the thermals) and enjoying touring the UK once again. May have secured a house sale already… don’t faint. Interesting couples, some splendid houses and many a mile driven… it’s what my spring and summers are made of! Well March is now with us and as I sit and type, the sun is shining and spring has nearly, very nearly, sprung. It’s been a really interesting start to the year with plenty of travels to places I’m not overly familiar with. 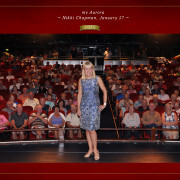 I was delighted when P & O invited me once again to join their ship Aurora on part of its world tour as one of their guest speakers. Sadly I couldn’t spare the full four months (yep, that’s the full ‘world tour’). In January, I flew to Rio to join the ship and its passengers after spending a few days in the city itself. And what a city it is… You do have to have your wits about you but if ever there’s a place on earth that celebrates it’s beaches, carnivals, music and football, it’s Rio de Janeiro. 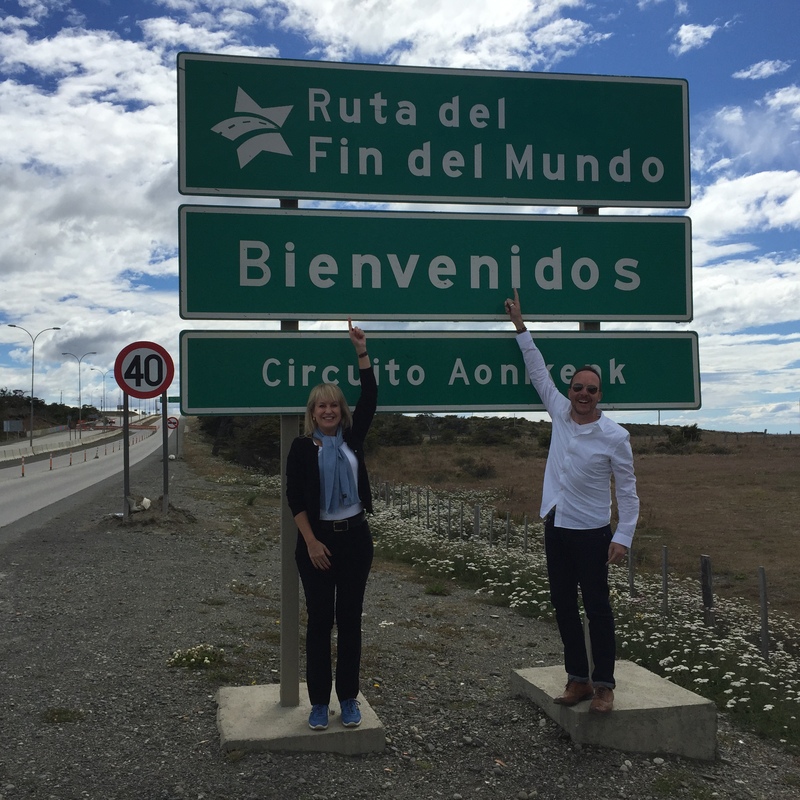 Ruta del Fin del Mundo, or Route to the End of the World. 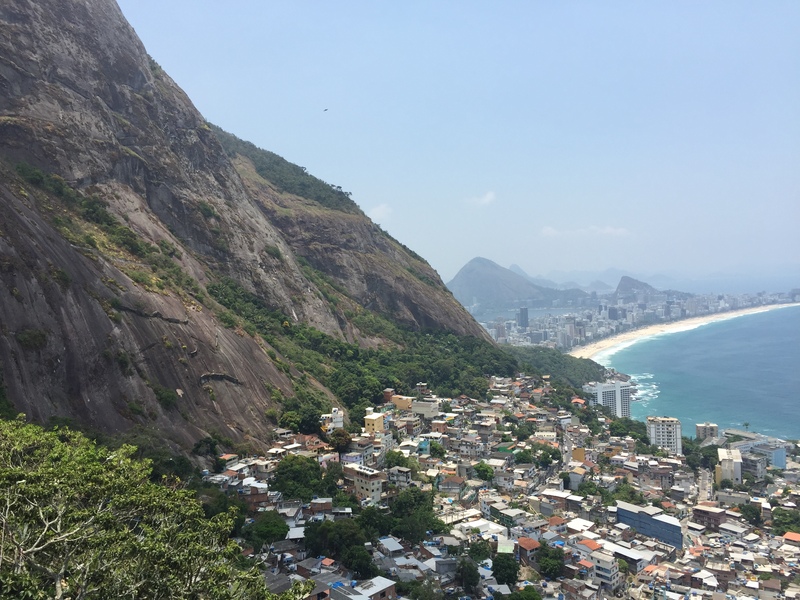 The highlight of this part of the trip had to be visiting a ‘favela’ called Vidigal high up with views across Ipanema Beach… a once in a lifetime experience where we drank, sampled the local cuisine and ate like kings… From there we visited Montevideo, the capital of Uruguay, Punta Arenas in Chile – a sprawling city on the edge of the Magellan Straits and the wonderfully named Ruta del Fin del Mundo (route to the end of the world) and then decided to add a few days in Buenos Aires before returning home. In February we recorded some Escape to the Country Specials. It was great to catch up with the other presenters – Jules, Alastair, Jonnie and Sonali. 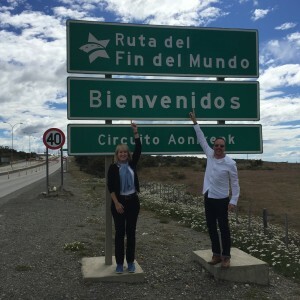 As we spend over half a year on the road recording the series we rarely get a chance to actually meet up, swap stories and find out who sold the most houses – not usually me sadly! These Specials will go out later in the year on BBC One. 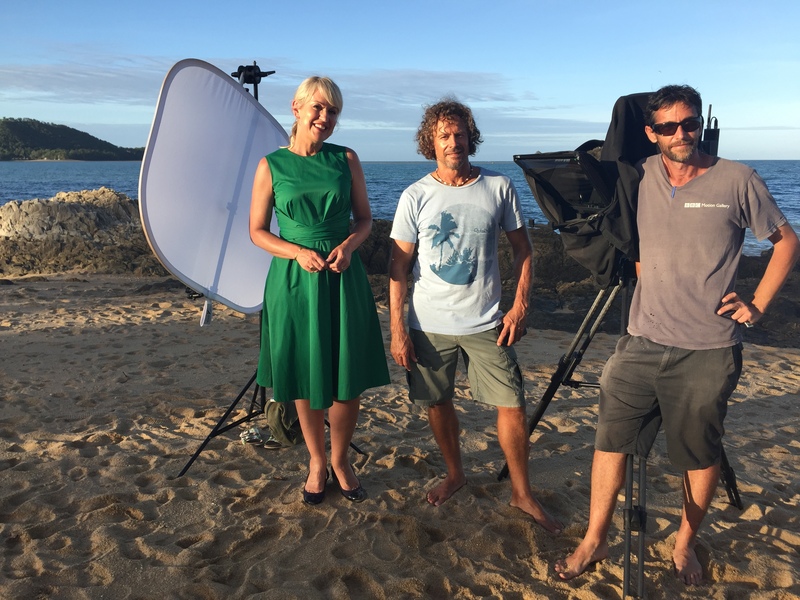 Most of last summer was spent filming Escape to the Country but also our second series of Escape to the Continent – it does what it says on the tin. I particularly love filming this show, exploring new areas of Europe, showing our couples a possible new way of life, but also giving them a reality check on what this ‘new life’ might entail. We’re just finishing off this second series. I’m off to Malta with my next couple, and the show should air later on this year. Hopefully early summer. I’ve posted on Twitter a few photos from The BRITs, which was fabulous and brought back memories of my years in the Music Industry… seeing Take That perform again was like déjà vu! 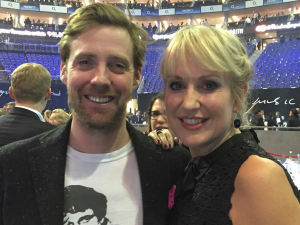 I met Ricky Wilson, currently doing great business on The Voice, and spent far too long swapping judging stories comparing Pop Idol to the entertainment shows of today. We all love a ‘journey’!! The tale of two judges! On a personal level, since being inspired by the Spanish Riding School in the autumn, I’m now back in the saddle and trying to ride each weekend. You can call me the ‘happy hacker’. I’m currently on Lent… I won’t bore you with the details, but will share that it’s been harder than ever. 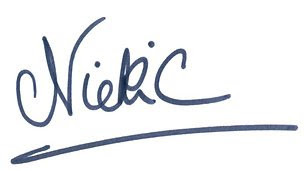 Hopefully by the time I write again it will all be over for another year…. 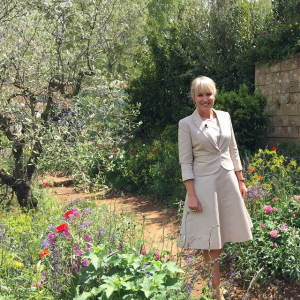 I’m back on BBC Radio 2 in a few weeks time, just about to start filming the new series of Escape to the Country, and am starting to get excited about the RHS Chelsea Flower Show. OK, it’s not until May, but a girl can dream…. 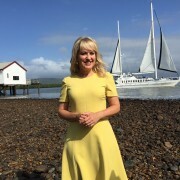 http://nickichapman.com/wp-content/uploads/2018/02/NickiChapman.gif 0 0 Nicki Chapman http://nickichapman.com/wp-content/uploads/2018/02/NickiChapman.gif Nicki Chapman2015-01-19 17:02:042015-01-19 17:02:13Hello 2015!